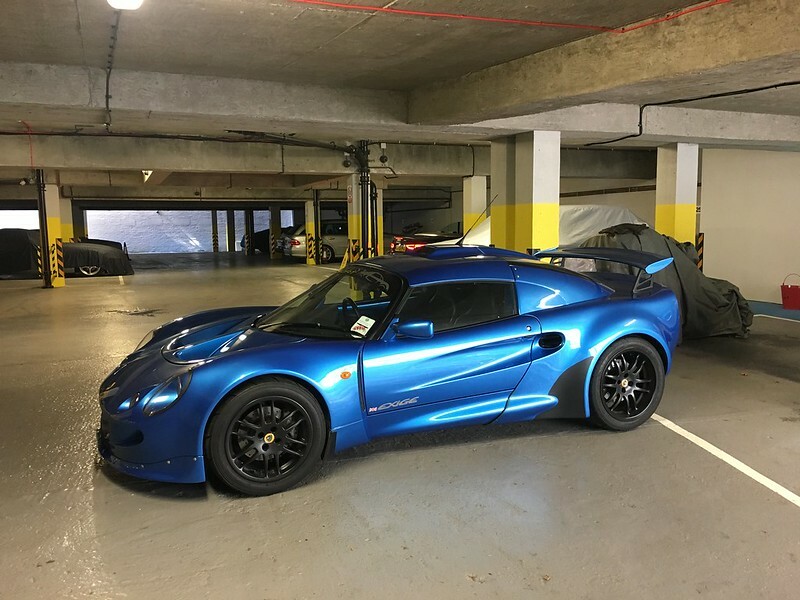 My little S1 Exige is up for sale. I've enjoyed being its custodian for over a year now and used sparingly. I can't say I'm that fussed about it selling, but after having a viewing and a good offer last week I got it into my head that she's going and started putting the money to use elsewhere....But the buyer changed his mind Price is based on what I had 'accepted' last week. 2 owners, first owner right the way to December 16. 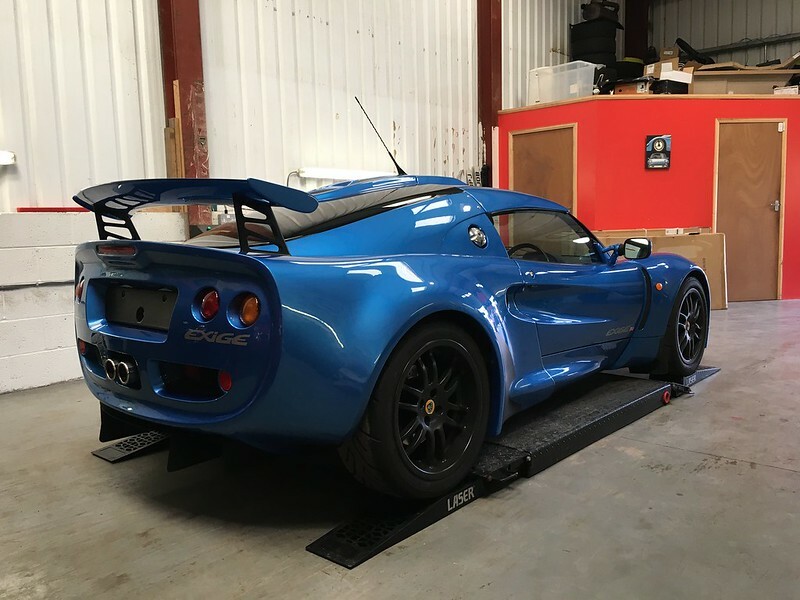 This is an incredibly rare chance to acquire an original condition and unmodified S1 Lotus Exige. Many of these cars are heavily used on track, had engine conversions or other upgrades, therefore very few remain in original guise. 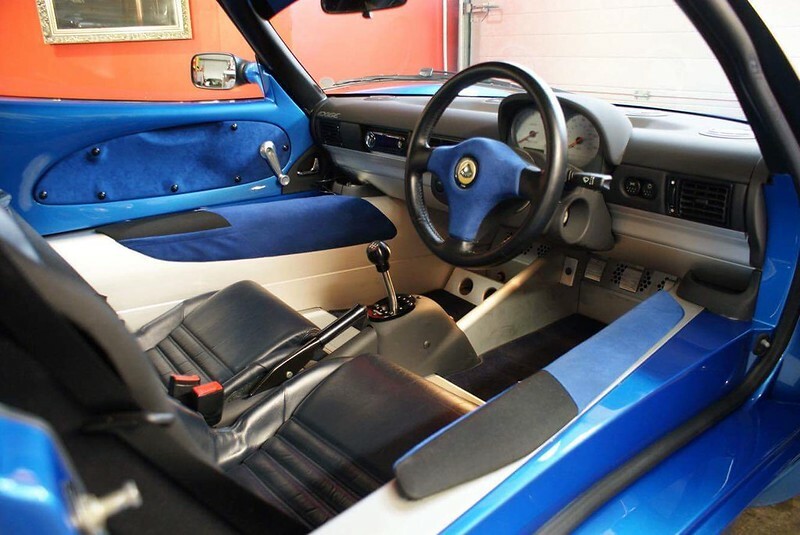 This car is out the box original other than a Lotus short shift gearstick & Lotus rear diffuser. The car has all original paintwork and wears its age with pride, showing stone chips to the front end and side skirts, but nothing unusual for the age and you have to be examining closely to see these. The interior is honestly like new with no wear to any areas. The alcantara parts which can commonly wear and bobble are entirely fresh and have no stains or wear. This is my own personal car and I have truly mothered it. It has lived a pampered life in dry & clean storage with charger & cover on. 06/09/2007 - 8,509 miles, Christopher Neil Ltd.
12/09/2008 - 9,086 miles, Christopher Neil Ltd.
09/10/2009 - 9,668 miles, Christopher Neil Ltd.
28/09/2018 - 13,708 miles, Performance Autocare Harrogate. The car has all tax discs from new (until they stopped being issued), the original bookpack and all four keys (two with alarm fobs and two without) and plenty of receipts and paperwork. 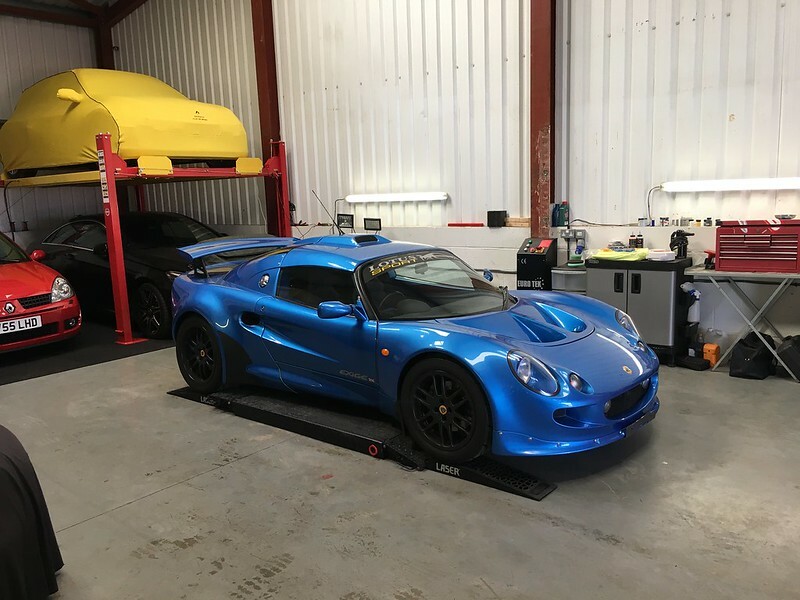 I took the car to Phoenix Motorsports in Accrington for its 2017 service and I told him to do whatever was required to get it up to an extremely high standard (like I have done with other Lotus I have owned) and the result was nothing more than a B service and a rocker cover gasket. The under trays were removed and scrubbed clean before being refitted also. 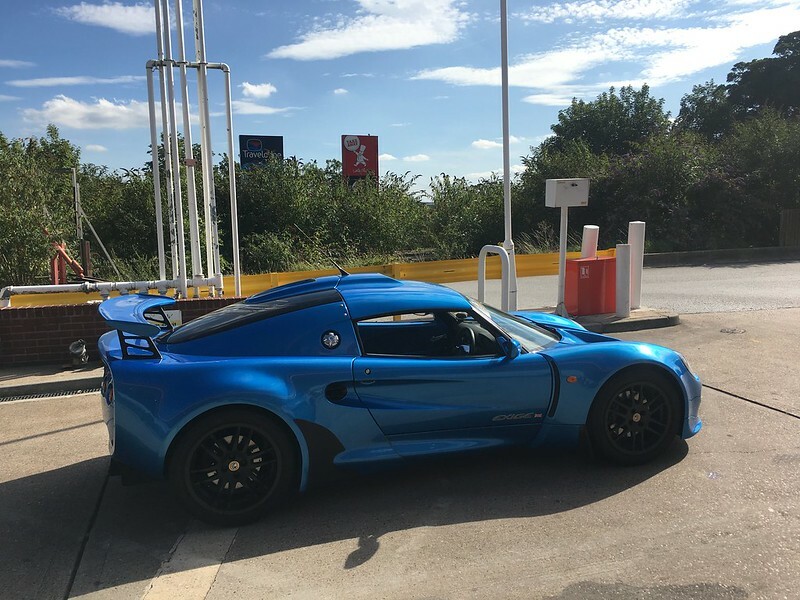 He informs me it is one of the tidiest S1's he has seen since my Sport160 went to him last year, let alone for an original S1 Exige. In June 2018 the car had an aluminium upgraded radiator fitted at 13,650 miles in preparation for a road trip to LeMans Classic to help keep temperatures down during a long journey and likely stuck in queues (ended up taking a different car in the end). The 2018 service that has just been carried out I decided to do a minor overhaul in preparation for sale. This included a major service including cambelt and auxiliary belt, waterpump, replacement alternator (known weak point for wearing out randomly, and requires belts to be removed to change), and a new MLS gasket set. This was all done as preventative maintenance and combined together resulted in quite a saving compared to doing it all separately in the future. Total spend in 2018 for the service and radiator circa £2,200.